A Vulture Costume with LED Eyes « Adafruit Industries – Makers, hackers, artists, designers and engineers! 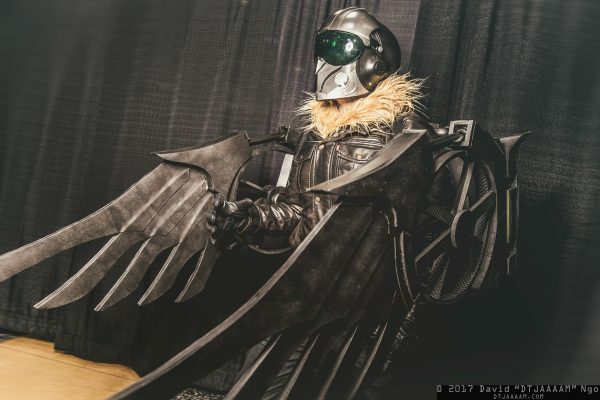 Black Zero Cosplay recently won the award for best villain costume at Wizard World Chicago. He went to the convention dressed as the Vulture. His costume closely matches the villain’s look in the recent Marvel film Spider-Man: Homecoming, to the point that Black Zero Cosplay obtained the same kind of fur that they used in the movie for the collar of the jacket. He says he put many sleepless nights into the Vulture suit. 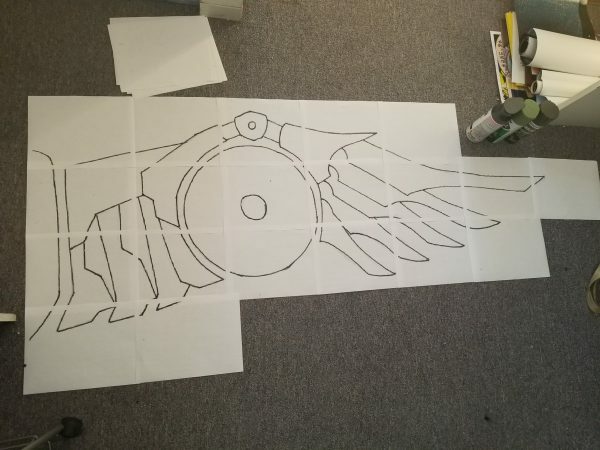 The effort particularly shows in the fully poseable wings with a 12 foot wingspan (see a sketch of them below) and the glowing green LED eyes. Watch a test for the helmet’s LEDs in this Facebook video.